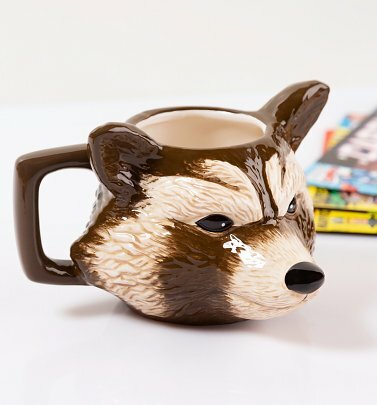 If you're a fan of the cheeky chap Rocket Raccoon, you've come to the right place! First appearing as 'Rocky Raccoon' in 1976 in black and white Marvel magazine Marvel Preview No.7, he was a super-popular member of the universe-protecting team in 2014's Guardians of the Galaxy movie, along with friend Groot. He may be tiny and furry, but don't be fooled - this clever creature is sharp-tongued, and ready to fight! Celebrate our favourite feisty fellow with official Rocket Raccoon T-Shirts.